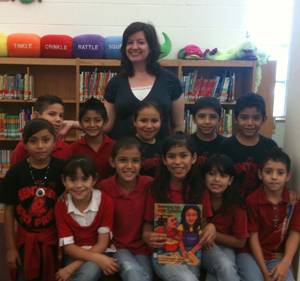 Gwendolyn Zepeda regularly speaks to educators, librarians, writers’ groups, and students of all ages. Her speaking fee depends on the event and its distance from her home. Please contact her publicist for more information. She can also visit classrooms via Skype on a limited basis. Please email Ms. Zepeda directly for information on Skype visit availability.